My son is 8 and still loves this duck. It is easy to use and was ready to do right out of the package. He loves his little bath time friend and I love that it is a reminder to check the water temperature. Yes, this is really made for babies but you can never be to careful when it comes to the safety of your children(my 11 year old daughter also likes to use it). 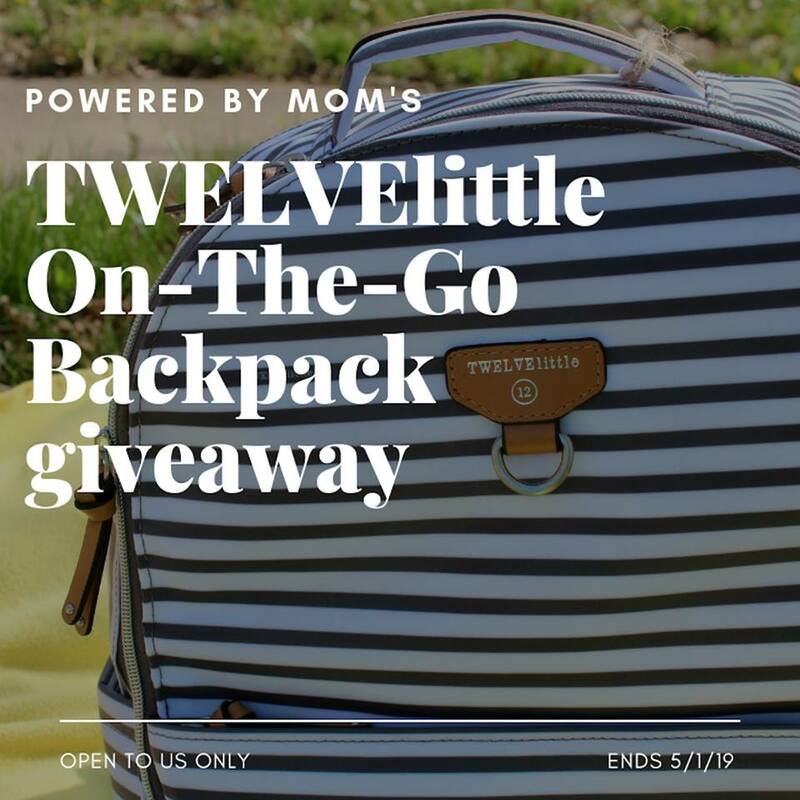 To me this would make the perfect baby shower gift for the mommy to be. It automatic turns on and off because the sensors are activated by the water. This will be a bath toy that you will get lots of use out of and your child will enjoy it as they grow. It runs off 3 AAA batteries that are included. 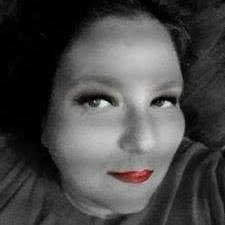 As you can see by my photos it has 3 different colors it displays depending of the water temperature. All 3 of these colors are easy to see and read-blue=cold, red=hot and green=bath time! 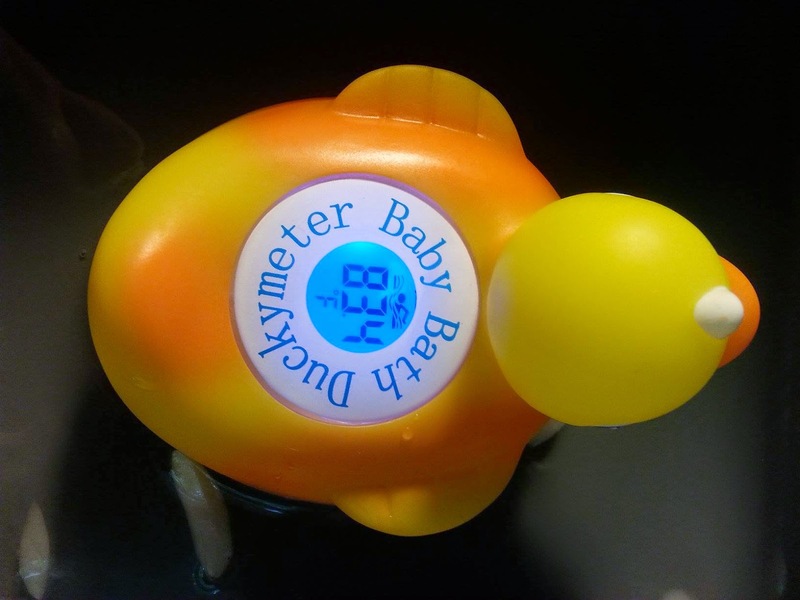 Introducing the Ducky meter, a Baby Bath thermometer built into a fun and safe Duck Bath Toy. 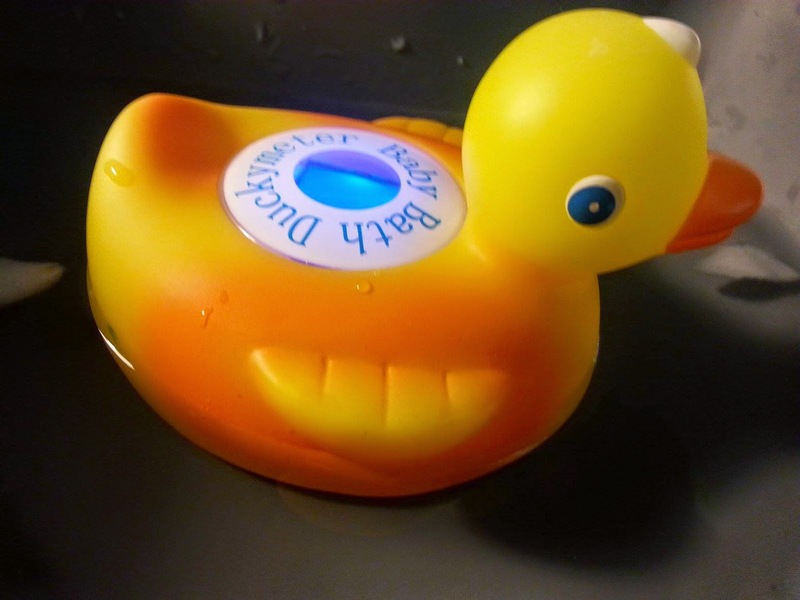 The Ducky meter activates instantly in water with no annoying buttons or switches. 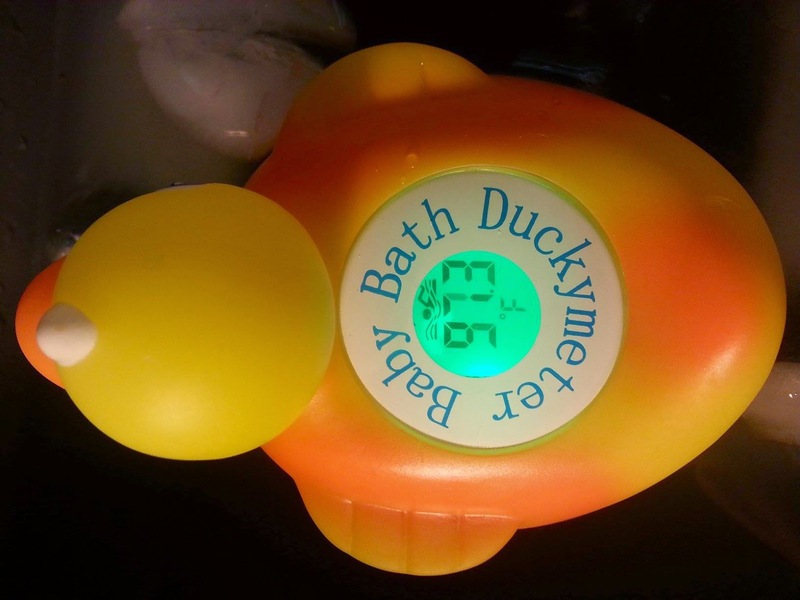 The Ducky meter dynamically calculates the bath water temperature every second, and displays the temperature with 3 different color screens, with Blue indicating Cold, Red indicating Hot, and Green indicating Just Right. 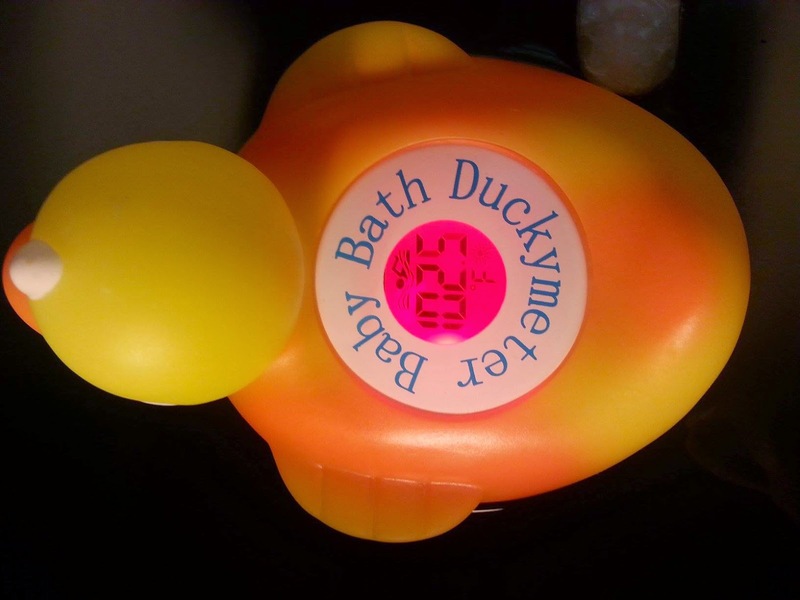 Compliant with the Consumer Product Safety Improvement Act, the Ducky meter is safe and fun both in and out of the bath. Ships with 3 AAA batteries included.